And down came the rain! 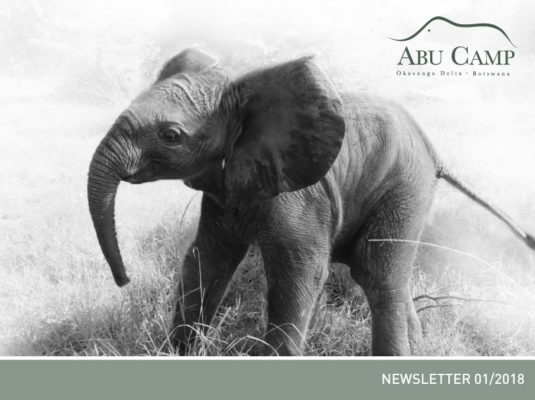 January was filled with lots of joy and new life in the Abu Concession. The beginning of the year was marked by very welcome summer rains which helped with the recovery from the seasonal bush fires. 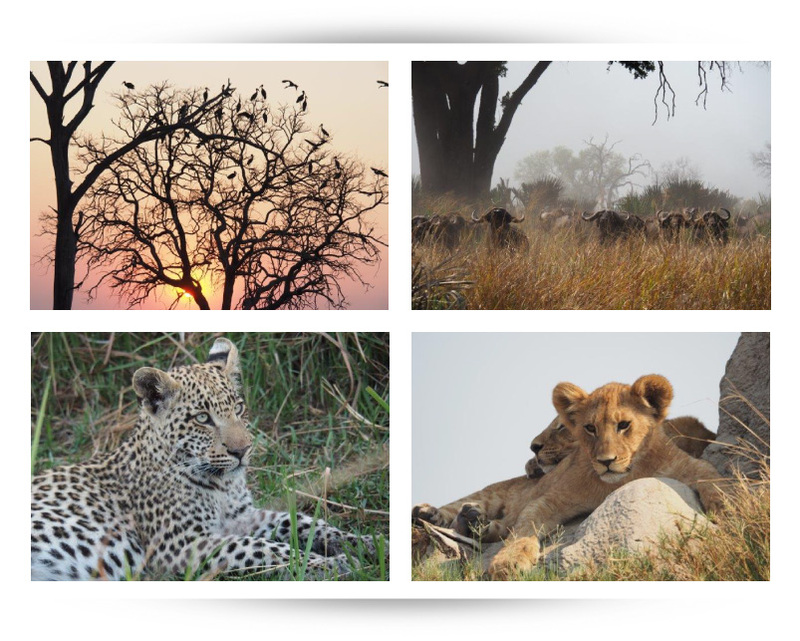 The grasses responded with vigorous growth, transforming the Okavango into a spectacular paradise. With the rain came the coordinated births of hundreds of impala, with nursery groups of young antelope becoming a frequent sight on game drives (and providing a bonanza for local predators). The New Year also brought an early gift for the Abu Herd, in the shape of Lorato’s long-awaited calf. Along with the expectant mother, we have all been waiting many months for the arrival of the newest member of the Abu Herd. The consensus was that Lorato would give birth during February, but she obviously couldn’t wait that long to become a Mom! On a very still summer night towards the end of January, the elephant handlers noticed some tell-tale changes in Lorato’s usual jovial behaviour. She was pacing up and down in the boma and seemed very unsettled. Wellington and Boago, being the protective ‘fathers’ they are, started to worry and immediately called the Camp to let us know that Lorato might be going into labour. We immediately went to the boma, where we found Wellington and Bee watching and waiting anxiously – just like first-time fathers outside a hospital delivery room. There was nothing that any of us could do but watch over Lorato as she went through the process of labour. Eventually we decided to take the guests back to Camp for dinner, but we had barely begun our starters when a combination of excited trumpeting and joyful radio messages alerted us to the fact that a new life had just begun. Amidst the exuberant commotion, we quickly gathered the guests into the vehicles and rushed back to the elephant boma to find Lorato, exhausted but clearly very proud, relieved and happy. She had every reason to be: wobbling uncertainly next to her was her firstborn, a healthy male calf. Although just minutes old, he was 90 cm (3 feet) tall and weighed an estimated 120 kg (265 lb). Although this was her first calf, this was far from being the first time that Lorato had brought great joy to both the human and the elephant members of the Abu Herd. The elephant handlers instantly named him Motlotlo, a wonderful name that means ‘Pride’ or ‘Grateful’ in Setswana. This was in loving memory of his late grandmother, Kitimetse, who passed away almost exactly four years ago and is still greatly missed here at Abu Camp. It was an honour to be present for such a momentous event in the life of the Abu Herd. In terms of the Abu Herd family tree, Motlotlo (whose father is an unknown wild elephant) is Naledi’s half-nephew, as his mother and Naledi are half-sisters. It’s a source of great pride to all of us here that Kitimetse’s wonderful legacy continues through Lorato, Naledi and now Motlotlo – re Motlotlo ka wena!